Sydney, that's right. There is a limited edition Easter treat that has just landed on our shores about two weeks ago, as at the time of writing this. This is what predominantly comes to mind with this particular question. This treat will only hang around for Easter in 2014. Once this lovely treat is gone, it will be gone forever. This is the treat the questioner has in mind, however, which Easter treat do you believe is the newest and the best in Sydney? Looking forward to your answers. 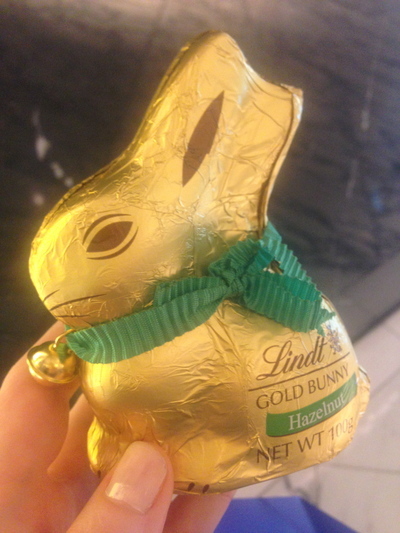 Definitely the Lindt Gold Hazelnut Bunny 100g. Cute! The hazelnut bunny hatched onto Sydney's shores two-weeks ago! Best frozen yogurt in Sydney?